We’ve all been there. We work really hard to get an area neat and organized, and after a day of regular activity in our homes, it’s totally messed up and disheveled again. 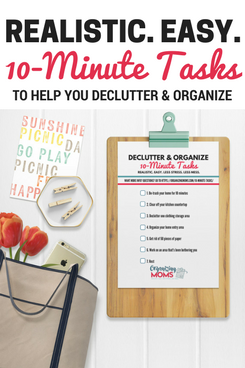 Sometimes it seems like we’re fighting an uphill battle when we’re trying to keep our homes clutter-free and organized. 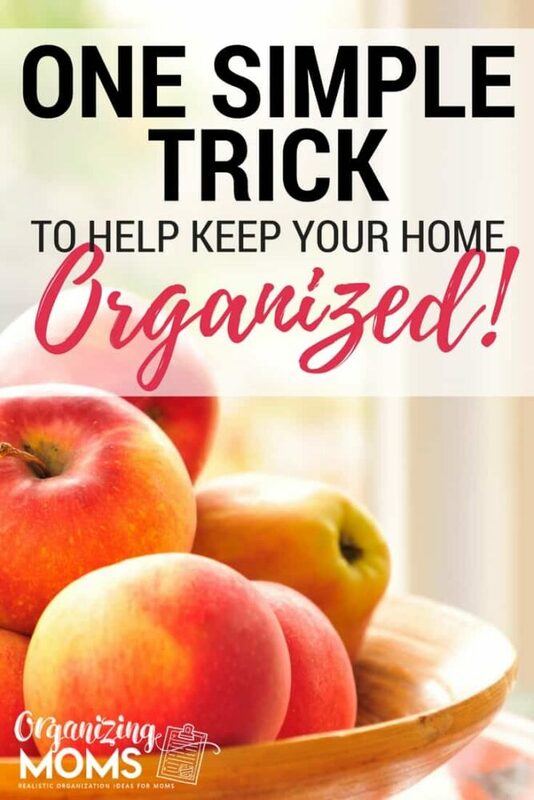 This one simple trick to help you keep your home organized might make that uphill battle a little less steep. Always carry something with you when you move from room to room. Running to the restroom? On your way, throw away that granola bar wrapper that was left on the coffee table. Going upstairs? Take your library books with you and put them on your nightstand. Walking to your mailbox? Take the trash with you and throw it in the bin before you get to the mailbox. Getting out of the car? Grab a handful of trash, Goldfish crumbs, or whatever, and throw it away after leaving the car. By always bringing something along with you to put away, you’re cutting down on the tidying up you’ll have to do later. Will it completely eliminate the need to clean things up from time to time? Probably not. But, it will lighten your load a little bit. Building the habit of taking something with you isn’t always easy. It’s a completely different mindset that you’ll have to develop. Sometimes, you just won’t want to throw away that random apple core that someone left on the sofa. For the third time this week. 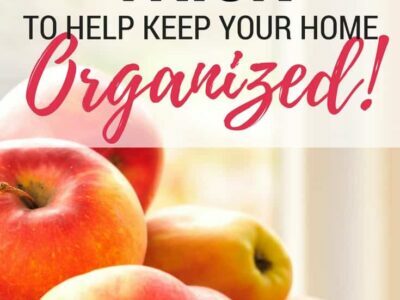 But, if you can commit to taking something with you most of the time, you’ll make things easier on yourself, and you’ll enjoy a more organized, tidy home. So, what kinds of things could you “take with you” during the course of the day. I’m sure there could be a lot of variety in the answers to this question (wink, wink).